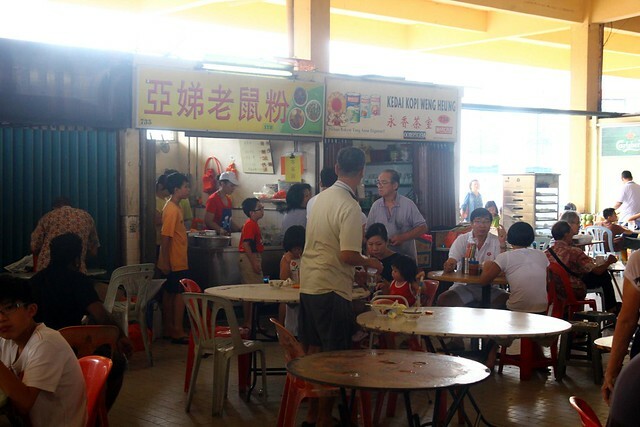 Seremban: Good Lao Shu Fen @ Pasar Besar – Last weekend, I went down south for a little food and getaway trip with Clarice. The first stop of the trip was Seremban, hoping that I could get my mouth on the famous Hakka Mee at the Pasar Besar Seremban which I missed out last time. Very big market. 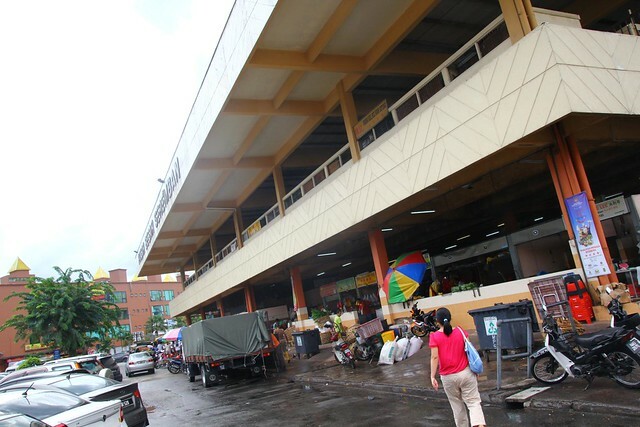 Pasar Besar Seremban. 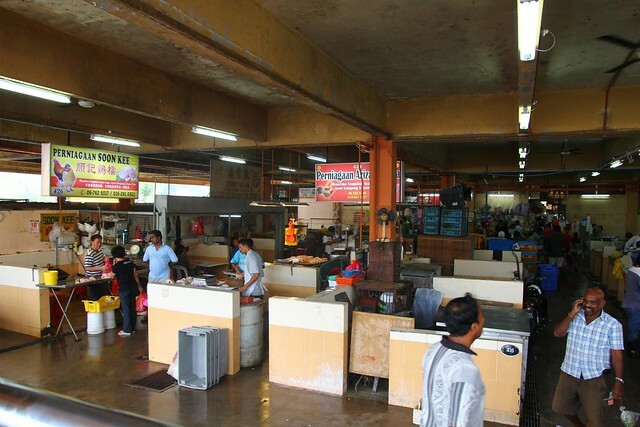 The wet market area on ground floor. 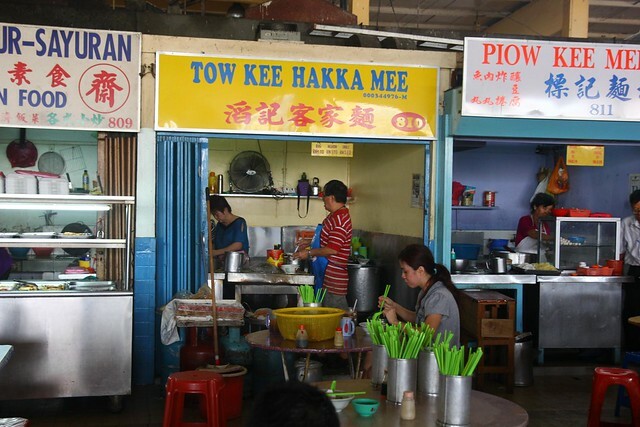 Famous Tow Kee Hakka Mee, so sad, sold out already. I arrived there about 11.30am with the help of GPS. I wander my way to the first floor of the big market where all the food stalls are and search for the Tow Kee Hakka Mee among the super many stalls, very sad, very unfortunately, the friendly staff told me that it’s sold out, oh that’s sad. It’s not only us that got dispersed away, there’s some other people who was looking for Hakka Mee too. Stall 735 is the Ah Di Lao Shu Fen. Lovely and small small bowl of dry lao shu fen. Nevertheless, I went to look for some other food, asked around and found out the the Lao Shu Fen is good too! So we went to order a bowl to try it out. It’s just a small meal before heading to Malacca for more good Malaccan food. 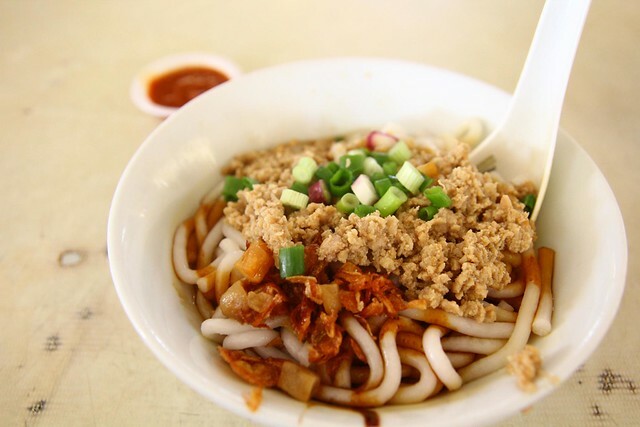 It was a small bowl of Dry Lao Shu Fen (silver needle noodle) with plenty of minced meat, a bit of welsh onion, and their special soy sauce. It’s quite nice in my opinion, not too salty and just nice. Best of all, it’s only RM3 per bowl. Awesome. Next ArticleEND OF WORLD IN PENANG?! The Lao Shu Fen now moved to S2 Avenue. They are not honest in calculating the bill. ALWAYS CALCULATE EXTRA. When ask them itemize, they scold you. Really bad attitude. I find out when I insist they give me the itemize details and the result they calculated wrongly.